Chicago Mayor Rahm Emanuel brags about balancing the Chicago budget and fixing the city’s pension plans.Reuters writer Dave McKinney took the lies hook line and sinker. Mark Glennon at Wirepoints Illinois separates fact from fiction in his article Chicago’s Friday Bunk Dump. This is a guest post by Glennon. Fridays in the summer are a great day to dump news you don’t want scrutinized, as reporters will tell you. Today, we got a new financial report from the city, the actuarial reports for its police and firefighter pensions and news of a private offering by Chicago’s school district. First, the city released a carefully written, glitzy, Annual Financial Analysis. At least they put it online this year, a departure from the past, but that’s probably because it’s such meticulously prepared misinformation. Hooray, said most headlines and Mayor Emanuel in his cover letter: The 2017 deficit for the city will only be $138 million. Only under a perverted meaning of “deficit,” they should have added. The report means little because it doesn’t include losses sustained in pensions and tax hikes for pensions deferred to the future, and it’s pensions that are Chicago’s primary problem. The kicked can isn’t included. Instead, the report is centered on near term, annual contributions to the pensions, which are made up by politicians and are inadequate even using the phony accounting that goes into them. That’s a primary reason why unfunded liabilities grow routinely. Specifically, here’s what they didn’t tell us: The deficit appears low now because taxpayer contributions gradually ramp up and then, in 2020, go up further to whatever-it-takes, sky’s-the-limit, annual amounts sufficient to fund the pensions, and property taxes automatically increase to cover those amounts. That’s for the police and firefighter pensions. For the small Laborer’s fund, that date is 2022, paid for mostly out of a telecom tax. 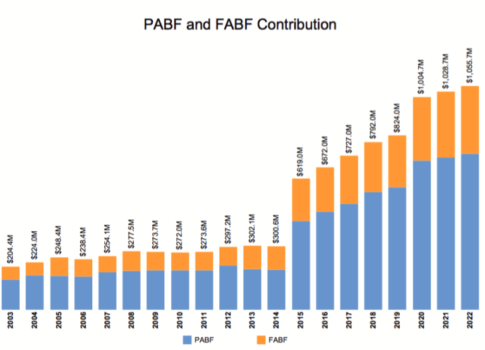 MEABF, the city’s largest fund, will be dealt with in a yet-to-be announced plan funded by a “dedicated revenue source,” the city tells us, which means a new tax of some kind. Following is a schedule of taxpayer contributions to the police and firefighter contributions, taken from the report. Those will have to be covered by property tax increases. Expect the same on different taxes for the other two pensions. The city gloats in the report that, “For the first time since 2011, the gap for the coming year is put forward without separate consideration of the City’s pension funds. As of July 29, 2016, the City has identified a permanent, reoccurring source to fund three of its four pension funds.” That source is years of tax increases that haven’t been properly explained to the public. The same issue plagues city budgets, which is why Rahm regularly gets away bragging about balancing the city’s. “This is the fourth year in a row we have balanced the budget,” he said in his last budget address. In fact, the city lost about $5 billion last year (though that results largely from a change to more realistic accounting standards) and about $1 billion in each of the previous four years, according to its own financial statements. Today, I finally got the actuarial reports for the Chicago police and firefighter pensions, which I had filed a Freedom of Information Act (FOIA) request on July 8. For the police pension, Net Pension Liability (that’s the term for unfunded liability under the new accounting standards) worsened by $260 million, ending 2015 at 8.97 billion. The funded ration worsened from 26% to 25.4%. For the firefighter’s pension, Net Pension Liability worsened by $304 million in 2015, ending the year at $3.78 billion. Its funded ratio worsened from 23% to 21.7%. That’s actually much better performance for the year than I expected. However, with funded ratios near 20%, these pensions are in truly horrid shape. 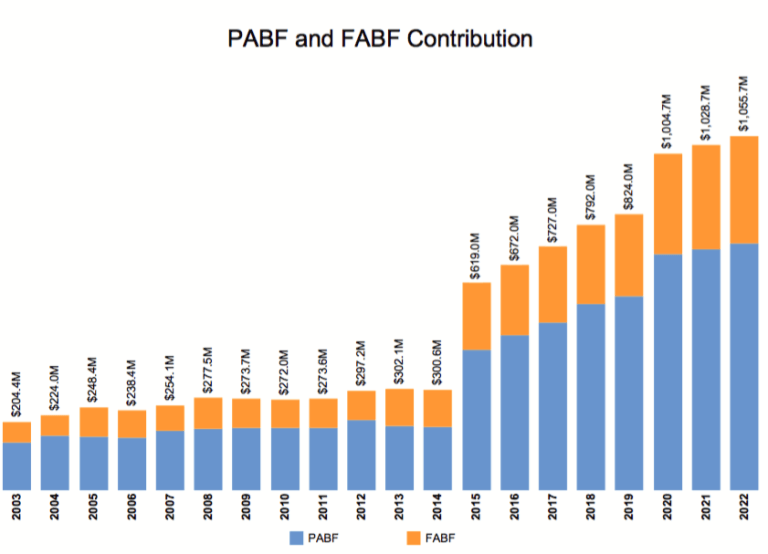 Together with the two other Chicago pensions whose reports were released earlier, the total Net Pension Liability for the city is $33.8 billion and they are 23% funded in aggregate. Obviously, that’s far worse than the $20 billion total that’s been commonly reported over the past year. Much of that change results from the shift to new, more realistic accounting standards. You can add another $10 billion for the CPS pension. We’ll try to add it all up soon for all the other overlapping pension obligations when we can — Cook County, Chicago Park District, Cook County Forest Preserve, Metro Water & Reclamation District, RTA, CTA and state pensions. None of these numbers include healthcare obligations, which are very hard to nail down, and are not addressed in the Annual Financial Analysis. Also today, CPS announced it borrowed another $150 million. What’s unusual is that it was done as a private placement — a reflection of its difficulty accessing the usual public markets. We don’t know all the terms of the deal because CPS did not release the key documents. The CPS says it will release those on September 2. September 2, eh? That would be the Friday before Labor Day weekend. Credit these folks with consistency.